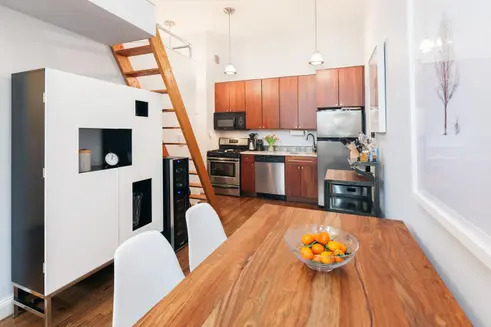 While Park Slope has earned a reputation as one of New York's most family-friendly neighborhoods, the neighborhood has something to offer all lifestyles and interests. 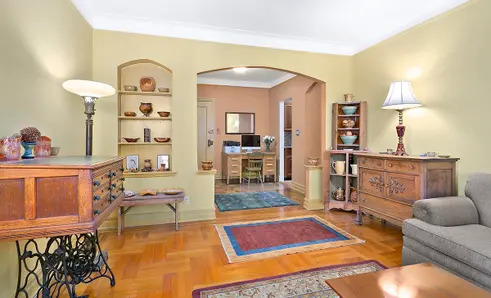 History buffs would be happy to live so close to Grand Army Plaza, Old Stone House, and Washington Park. 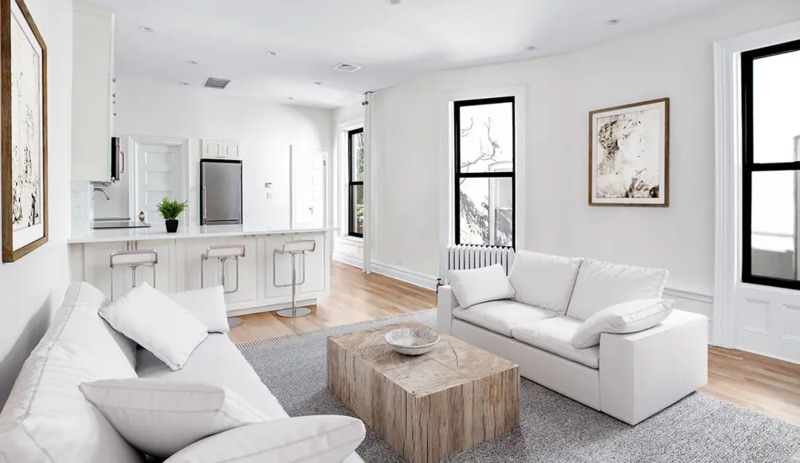 Architecture enthusiasts appreciate its beautiful brownstones. 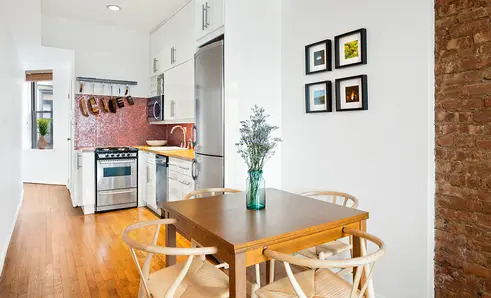 Active residents are happy to be so close to Prospect Park, and epicures appreciate the neighborhood's restaurant scene and Park Slope Food Co-op. 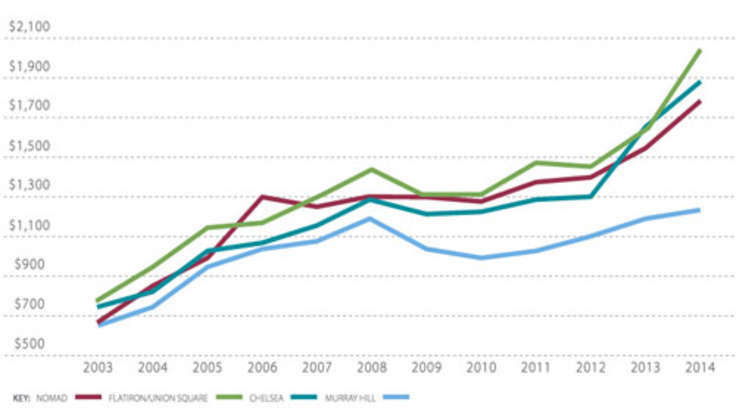 Several subway lines offer easy access to Manhattan, but it is far enough to act as an escape from the city's bustle. Celebrities like Maggie Gyllenhaal, Peter Sarsgaard, Keri Russell, and Steve Buscemi would certainly agree with that. 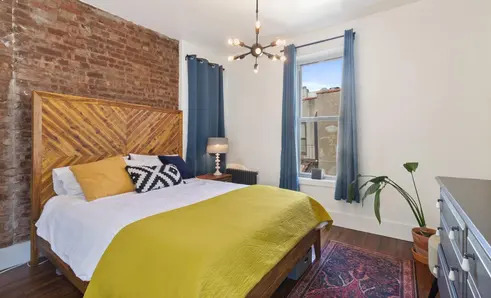 Unsurprisingly, the privilege of living among the best of both worlds is not one that comes cheap: CityRealty listings show that Park Slope's median prices are $1.65 million for condos and $862K for co-ops. But that should not be read as a sign that it's time to give up on this dream. 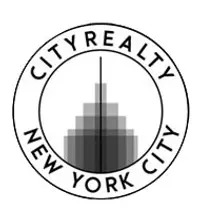 As the following listings show, it is possible to find a beautiful apartment while staying at six figures. 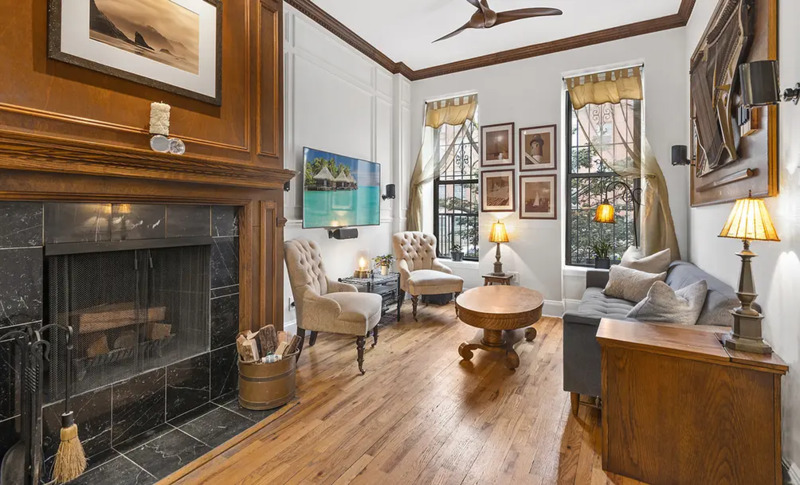 Voluminous home in a landmarked building boasts soaring ceilings, oversized windows, oak hardwood floors, recessed lighting, and floor-to-ceiling custom built-in with open back showing exposed brick. 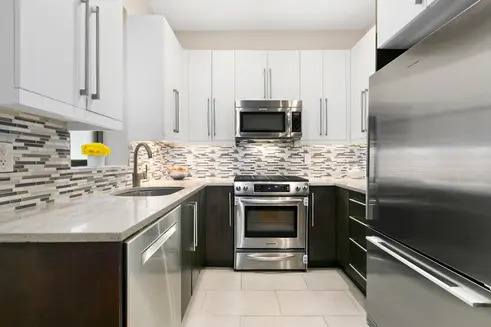 The windowed kitchen comes fitted with high-end stainless steel appliances, stone countertops, and abundant soft-close cabinetry. 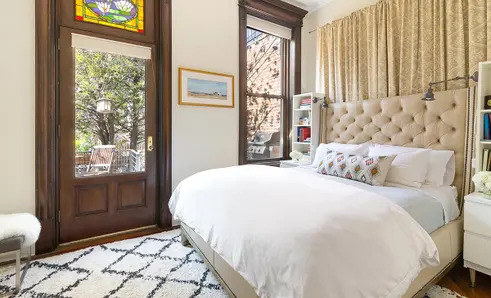 The master bedroom is at the end of a long gallery and filled with light from double exposures and south-facing bay windows. See floor plan and full details here. 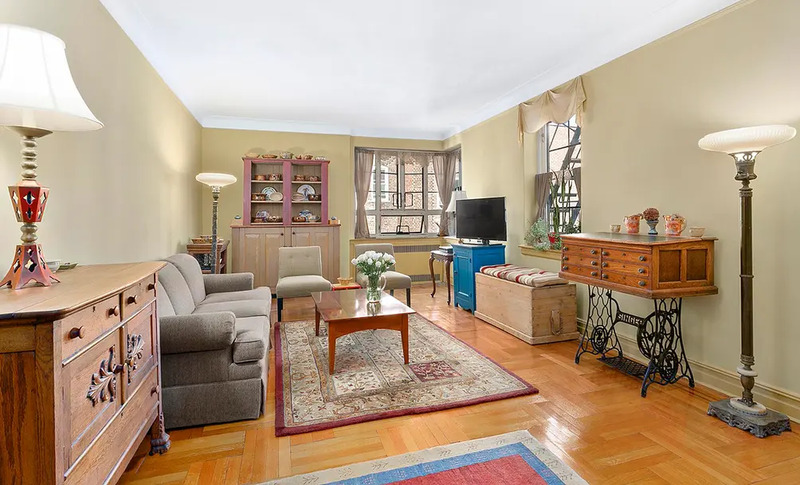 Stunning prewar apartment spans the length of its building and boasts incredible space, original window millwork, wood-burning fireplace in the living room, renovated windowed kitchen, and amazing natural light throughout from eastern and western exposures. 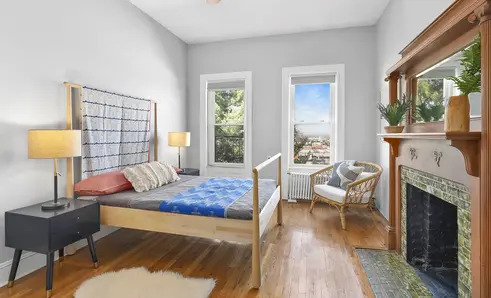 The oversized master bedroom enjoys treetop and cityscape views, not to mention a beautifully preserved decorative mantel. 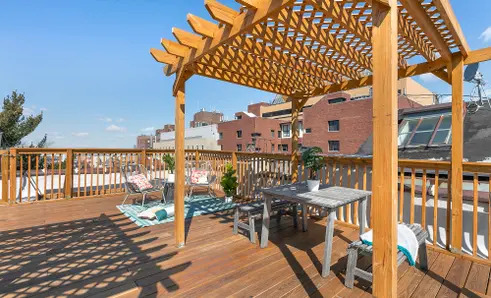 The crowning glory is a new roof deck with pergola and gorgeous Brooklyn views. See floor plan and full details here. 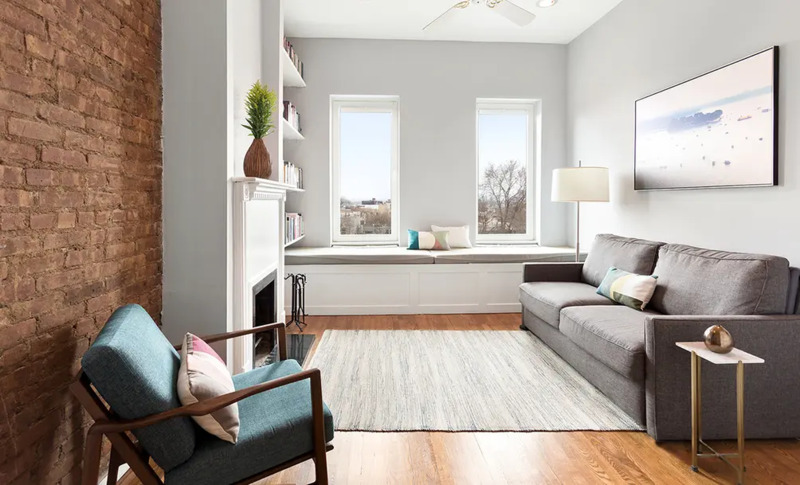 Top-floor condo with great flow is filled with light from three oversized, west-facing windows in the living room. A new kitchen is fitted with quartz counters, excellent storage space, and Bosch appliance suite. 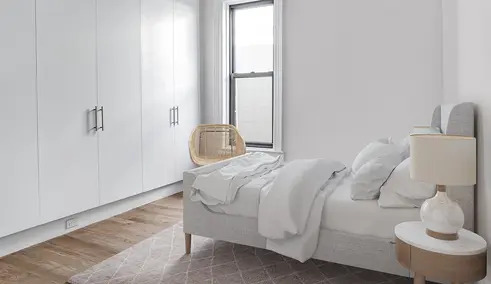 The master bedroom boasts incredible storage in the form of custom floor-to-ceiling closets. See floor plan and full details here. 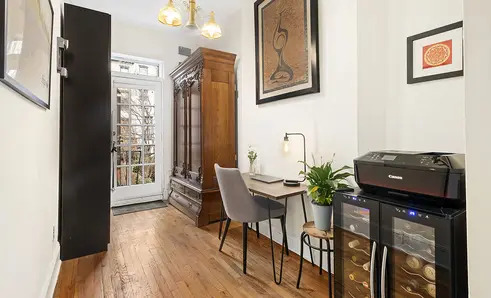 Upon entering this top-floor co-op, one can't help being charmed by the exposed brick wall, wood-burning fireplace, built-in window bench, and Statue of Liberty views. The dining area flows seamlessly into an open kitchen with stainless steel appliances, generous counter space, and sleek white cabinetry. 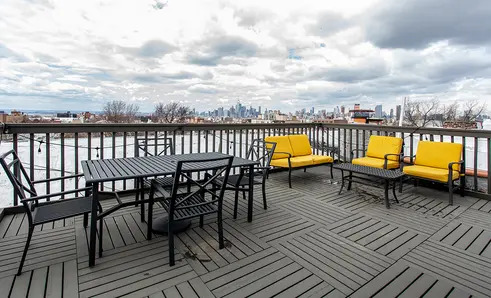 The crowning glory is a roof deck with views of Manhattan and Brooklyn. See floor plan and full details here. 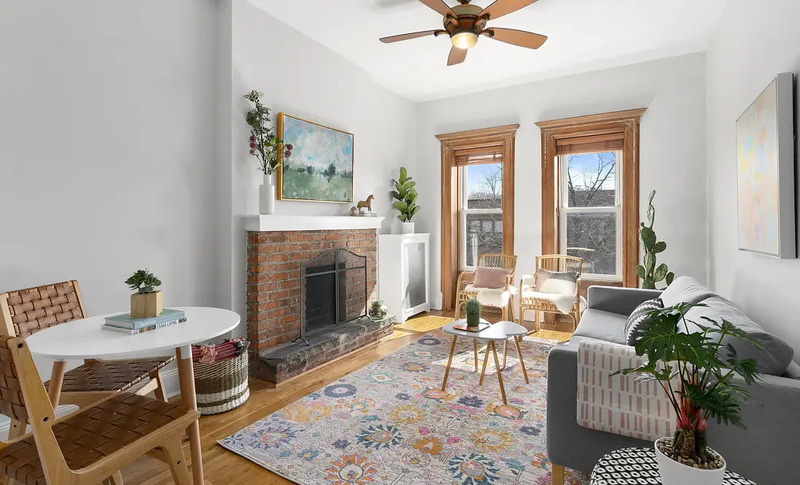 Parlor floor home in a classic Brooklyn brownstone boasts prewar details like soaring ceilings, wood-burning fireplace, original woodwork and built-ins, crown molding, and southern exposure. 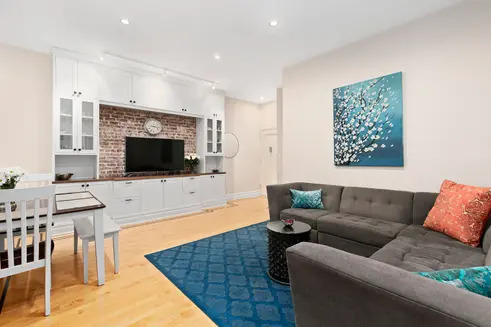 However, the living area is wired for surround sound, and the kitchen has been renovated with stainless steel appliances and granite counters. 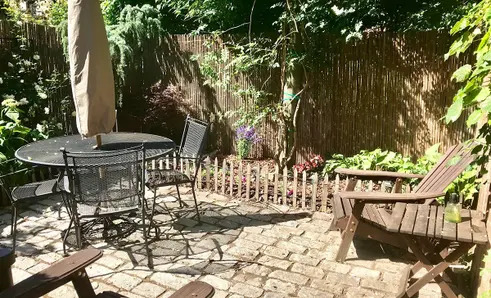 A beautifully planted private garden is just off the second bedroom/study. See floor plan and full details here. 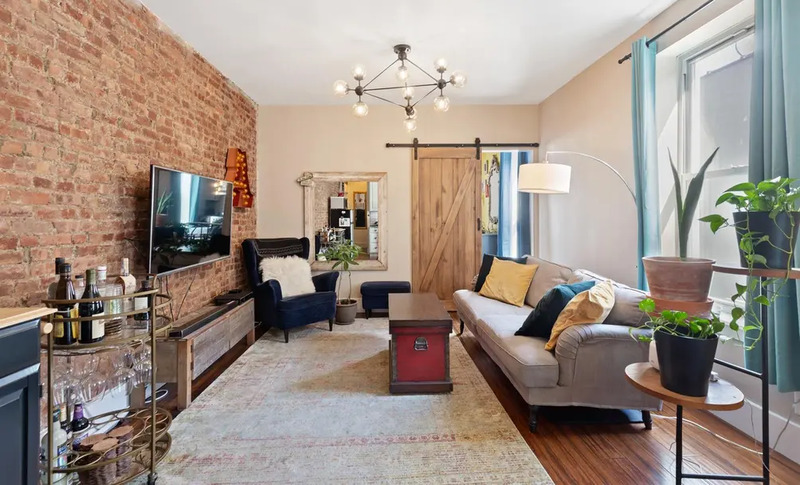 Desirable features of this duplex apartment include exposed brick details, incredible light through enormous windows, hardwood oak floors throughout, and J-51 tax abatement. 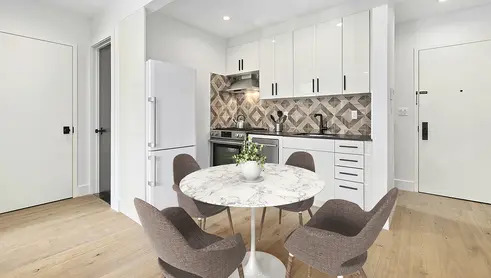 The open kitchen is outfitted with stainless steel appliances, black granite counters, and sleek white cabinetry. 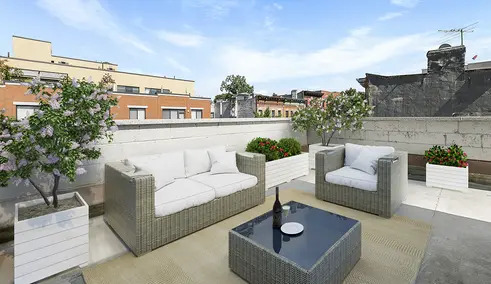 A large private terrace on the upper level is ideal for entertaining and relaxing. See floor plan and full details here. 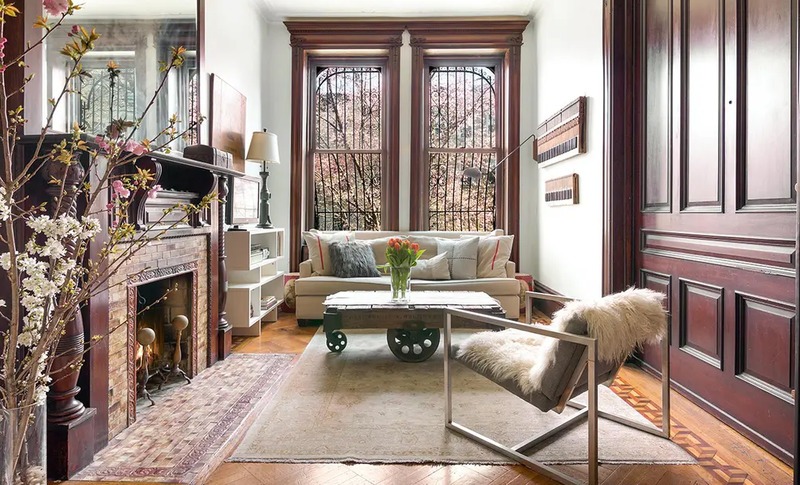 Soaring 11' ceilings, stained glass accents, transom windows, wood-burning fireplace, and pockets doors are among the prewar features that set this home in a beautiful brownstone apart. An additional room would make an ideal home office, nursery, exercise room, or whatever the buyer can dream up. 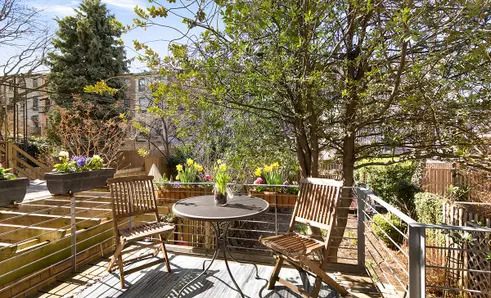 Just off the bedroom, a south-facing private terrace is an oasis of calm. See floor plan and full details here. High-floor home features gracious proportions, hardwood floors, graceful archways, and incredible light through steel casement windows. A dramatic, closet-rich entryway leads to an oversized living room with endless possibilities. 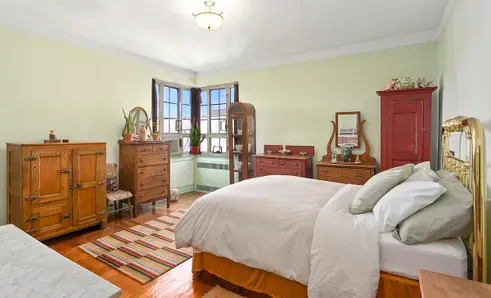 The galley kitchen has recently been renovated, and the bedroom also boasts abundant closet space. See floor plan and full details here. 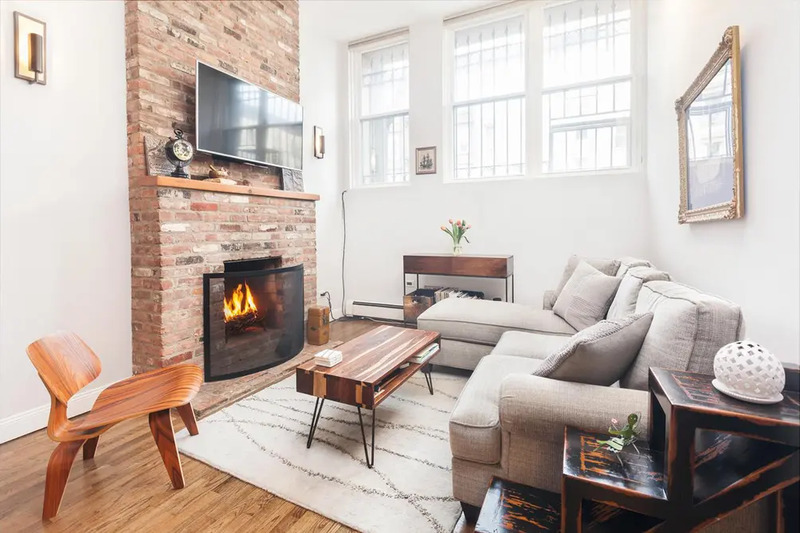 Soaring ceilings, wood-burning fireplace with exposed brick mantel, and oversized windows offer a gorgeous welcome to this gorgeous apartment. 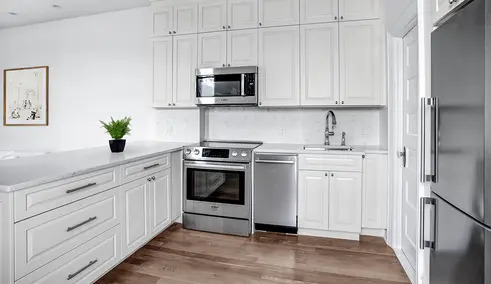 The open kitchen is outfitted with stainless steel appliances and wood cabinetry. 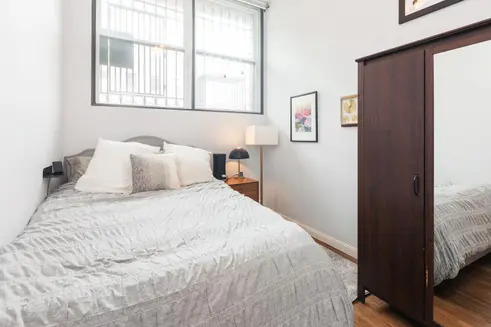 A generously sized loft can be used as a guest room, home office, or bonus storage space. See floor plan and full details here. 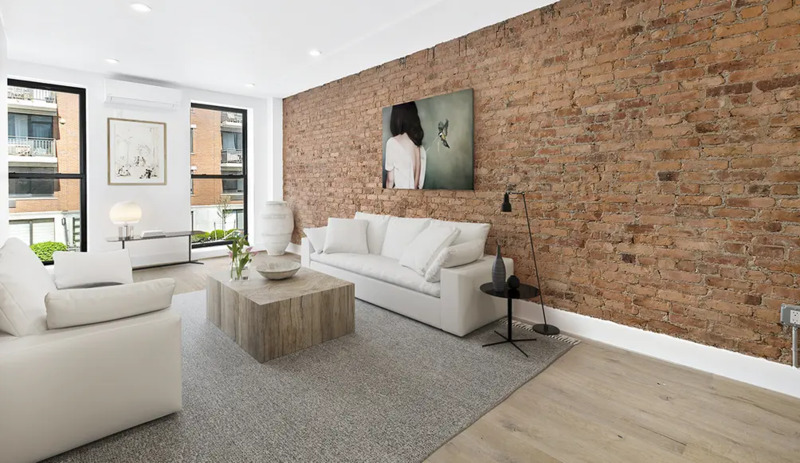 Bright Brooklyn apartment is filled with light and beautifully enhanced by exposed brick walls, engineered bamboo flooring, barn doors, and open plan layout. 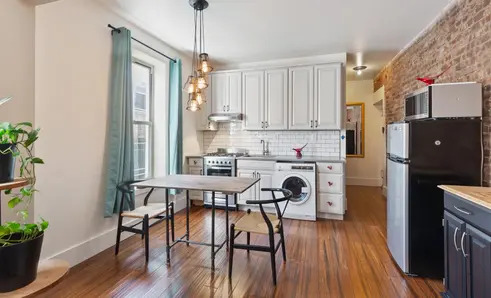 The open kitchen and windowed bath have both been recently renovated. 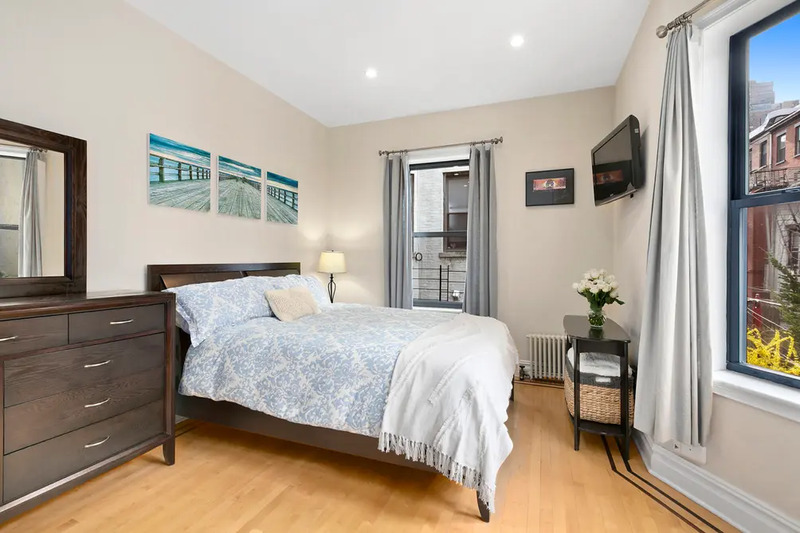 At the back end of the apartment, the bedroom enjoys excellent privacy and a large closet. See floor plan and full details here.